After quite a hiatus, my fellow HipHop crew over at Out Da Box Radio released a brand new interview featuring L.A. based Producer “Flying Lotus”. They got the chance to chat with Lotus in-person at his recent visit to NYC. He spoke to them about everything from his beginnings of pursuing music, his relationship with his Great Aunt “Alice Coltrane”, the deeper meaning behind his new LP “You’re Dead”, collaborating with other artists, the status of his collabo LP with Erykah Badu, his perspective on touring and much more. This interview done by Out Da Box meant a lot to me as a entrepreneur and writer, it stands as a true testament to perseverance and recognizing that no matter what “you must never give up” on your goals and your dreams. I've learned that with patience, persistence and faith, things always find a way to work out. So I celebrate this relaunch today here with you and all the fans that have supported UnsungHipHop and my other endeavours. Take a listen to this in-depth interview with Flying Lotus hopefully you will be inspired..!! 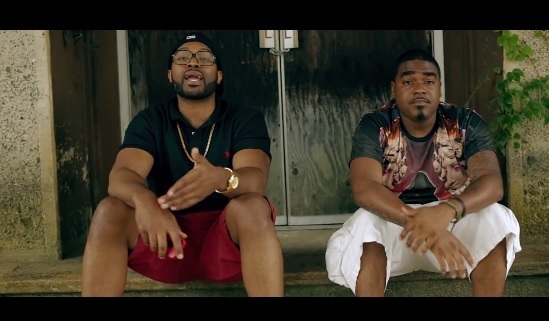 Two of the dopess Emcees Rav.P & Kush Kelz out of Montclair NJ collab on this new joint "Morning Light", with the help from director Ebb Although. Yet living two different lives they both are in similar struggles, I love it..!!! REal HipHop talking about real S#@!, leave your smoke (no pun intended) & mirrors in Hollywood. "Throw Away The Key" is more than just a cry for prison reform -- it is an attack on the entire system of inequality and injustice that is merely exemplified by the racist, classicist inequalities in policing and sentencing. Mass Incarceration, Recidivism, Profiling, Stop And Frisk, Police Brutality (e.g., Tremaine McMillian) and Fatality (e.g., Oscar Grant), Political Prisoners; these are symptoms of a greater societal problem. Add income to the equation, via for-profit prisons, and you have modern day slavery---THIS MUST END! "Throw Away The Key" appears on AWKWORD's 'World View', the first-ever 100% For-Charity Global HipHop project, sponsored by DJBooth and The Morgan Stanley Foundation. This is the 3rd single off his debut album "GNK," called "Murphy's Law. It's about evolution having eventually gone wrong. 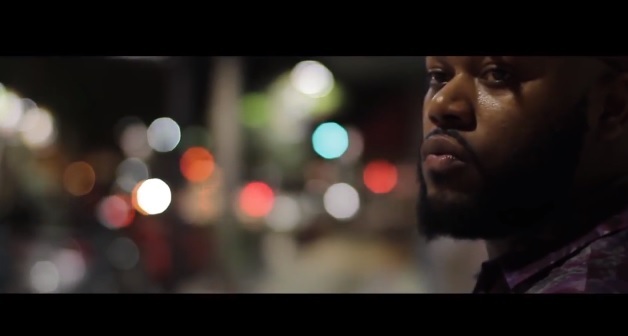 YC The Cynic is one of the few raw talents out nowadays, this guy is the Truth. The song is produced by Frank Drake. The video directed by Oliver Eid. "GNK" will be out August 26th. Here’s the second single off Rapper Big Pooh’s “Fat Boy Fresh Vol 3: Happy Birthday Thomas" LP. This track was produced by The Mighty DR. A LB (Little Brother) reunion would be nice but they are all on different paths right now. Maybe in the future... Pooh has always been consistent with putting out great material. De La Soul is the perfect of example of when being original in HipHop pays off in the long run. Since 1987 De La Soul has been blessing the Mic with their own style of lyricism. De La was the first HipHop group I could relate to, being a "Fashion Misfit" myself the song "Me, Myself And I" was my anthem. Besides my cousin Tai there weren't too many people who dressed like us back then. Their new track "Get Away", is probably the dopest use of a sample I've ever heard. Checkout the video below once again De La reminds the people what REal HipHop is all about. Akua Naru is back on the block. And in this "live & aflame" session backed the DigFlo band and singer Drea D'Nur, Akua shows the world why she is an Okayplayer-to-watch, commanding the mic and weaving complex counterpoints to the live ensemble into the cadence of her rhyme like a Grammy-winning industry vet, rather than a fresh face in this whole live hip-hop movement. Watch for the sax solo and make sure you stick with this song right through to goose-bumpy conclusion at the 7 minute, 26 second mark. You'll be glad you did. This is not just HipHop but music at it's best, something else you won't find on the radio. Harry Fraud throws up the alley-op once again for your favourite chef-turned-lyrical food connoisseur Action Bronson in the summer fueled track “Water Sports”. It’s all-star stuff. We don’t know exactly how Action would fare in a one on one with Dikembe (he is 7″2…) but one thing for sure is the consistent material he’s been putting out over the last couple of years. “Water Sports” is another testament to this and while it might well be a left over from Saaab Stories, a true chef like Bronson knows not to let anything go to waste. If you haven’t already, make sure you treat yourself to Action Bronson and Harry Frauds joint effort Saaab Stories; one of the best releases of the year so far. Slum Village’s LP, Evolution, is now off the chain, to celebrate Evolution’s release today, the group releasesd a video for “Braveheart” featuring Havoc of Mobb Deep. Checkout the video below and tell us what ya'll think. SV, year after year always prove their superiority on the Mic and this track is comformation. fivepee is a Beatmaker, DJ, hip hop aficionado, ex-music store clerk, sound tech, global nomad. 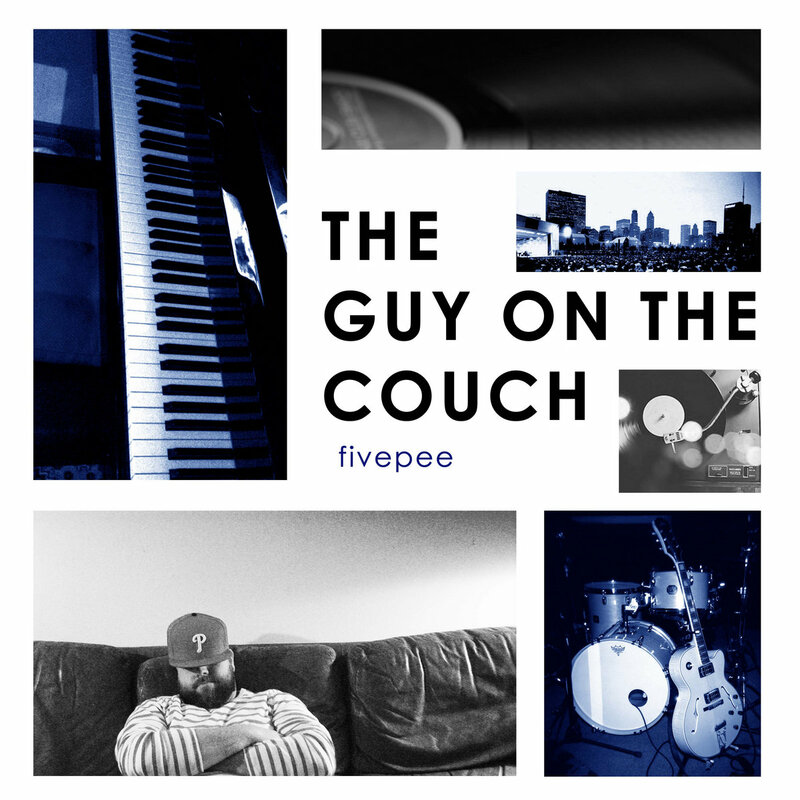 fivepee is defending the golden sound but embracing the new one. Good vibes with a conscience. Known for rocking anything from a dance floor to a chilled out lounge, or from dirty back alley to your little sister’s birthday party. Beats for days and I mean beats for days...this dude goes hard. Checkout the tracks below. Rav.P’s new #weeklyStamps finds him collaborating with Belarus producer Dray Yard, as this track, “No Further Questions,” will find its way onto Dray’s forthcoming Hand Grenades & Serenades project which will be released sometime in August; his first project with international guests. Rav.P will be also be taking his #weeklyStamps on the road very soon as well. Howard is a up and coming Emcee out of Palm Beach Florida. He puts down some serious bars over Common's "The Light" Instrumental which highlights the lyrical skill he brings to the Mic. We will definitely keep y'all posted anything else this brotha drops. Checkout the video below and tell us what do you think. Tragedy tha Beast is a 27 year old Chicago Emcee representing an up and coming music collective called Tha IntaVention. A witty, passionate and lyrical Emcee, Tragedy's ultimate goal with his music is to relate all the while producing exceptional product. Infinite rhyme styles, an aggressive tone and lyrical agility make Tragedy's music unique and definitely worth listening to. "Love U 2 Death" is the fourth and final release from his upcoming free album, The Manifestation LP. This is a fictional tale about the all to real subject of domestic abuse. This topic most Emcees never talk aobut, I think the last artist to this was Tupac (correct me if I'm wrong). Produced by singer/song writer/rapper Genius Picaso, this song truly needs to be on the mainstream radio stations. Joey Bada$$ collabs with the infamous MF DOOM for his new track entitled “Amethyst Rockstar” which is off his forthcoming album entitled the “Summer Knights LP” droppin' sometime in July. MF DOOM is one of my favorite but underrated Underground Emcees of all time, teaming up with Joey Bada$$ is a good look for both of them. Joey in my opinion, is leading the charge to bringing back Real East Coast HipHop for the next generation. I'm looking forward to seeing him blowing up like Kendrick Lamar. Checkout the dope joint below. You have heard Grammy Award-winning trumpet player Maurice “Mobetta” Brown before. After all, he’s appeared on LP’s from Santigold, Ski Beatz, Prodigy, Talib Kweli, Cee-Lo, Diddy, Musiq Soulchild and countless others; but you heard his trumpet and not his voice. Think Louis Armstrong and his trumpet uploaded for the 21st century to a HipHop beat, and you begin to understand who this young genius is. Maurice is a classically-trained Jazzman mentored and supported by the iconic Wynton Marsalis and the legendary Ramsey Lewis. But Mobetta is also a HipHop head for life, and that journey on this planet rock literally parallels the history and evolution of rap. Little wonder that Maurice not only blows the roof off God’s sky with his horn, but he also spits lyrics the way Satchmo spit his own brand of vocalese back in the day. Yup, Mobetta is a horn-playing-rhyme-spraying-dancing machine that Jazz HipHop collaborators like Donald Byrd and Gang Starr’s Guru, or Ron Carter and A Tribe Called Quest fantasized about in the early 1990s. No need to cram to make that Jazz/HipHop experiment happen in these times because Maurice Brown is the living and breathing embodiment of it all, a one-stop shop destined to be this era’s Quincy Jones. And then some! Fresh off of winning his very first Grammy with Tedeschi Trucks Band for Best Blues Album of the year in 2012 (Maurice was the horn arranger for the 11-piece ensemble), Maurice is prepping his latest release, Maurice vs Mobetta, or, rather, Maurice’s azz side versus his HipHop persona. Maurice vs Mobetta features appearances from Talib Kweli, Consequence, Prodigy, Jean Grae and production from Fyre Dept, DJ Scratch and Maurice himself and its a mere sampling of what’s in-store on Maurice vs Mobetta; as Brown has more in store, not only on this new effort, but coming down the pike. Know that Maurice vs Mobetta is a gumbo sound lab for this dynamic young trumpet player-arranger-producer. A Miami, FL resident, Stack$ cut his teeth in the industry at a very young age, as he ran with the Cash Money click writing and producing tracks for Lil Wayne and a host of other Cash Money artists; which would eventually lead to writing and producing for artists such as Diddy, Game, Fat Joe & Twista (among many). Stack$ has now put the finishing touches on his forthcoming mixtape, The Snowball Effect, which will be released this fall and it includes collaborations with Nelly Furtado, Pleasure P, Urban Mystic, Nu Jerzey Devil, Charlemagne The God, MDMA & Jack Thriller & production from Scott Storch. The lead-single from Stack$ The Snowball Effect is the uplifting “Whitewashed” featuring Bryan Rucker, but rather then try to put my own words on it, I think Talib Kweli sums up the consciously-tinged “Whitewashed” the best “Great video for every girl who thought she had to change who she was to be beautiful.” I made sure I posted this to my daughters Facebook walls. Sean Price exposes a flaw in the system of the new CitiBike's around New York City. Okay let me be the first to say this Sean P. needs his own reality show doing pranks like this. I would watch it faithfully, and I'm sure the HipHop community would appreciate it this is some funny sh*t.
Ezko is a 22 year old rapper from Gaithersburg, Maryland who has been making a name for himself. Ezko just put out a track last month called "Wake Up" which got great responses from bloggers and listeners. Back with a voice full of hunger and confidence, Ezko seeks to express his ideas of his hard work and disregard for the B***s***. This new track "No Conversation" produced by Hassani Kwess hits hard and has a 90's HipHop feel. Ezko is in the studio working on his upcoming album Coming Of Age. Checkout the audio stream below and tell us what you think. After providing a hard-hitting street banger with Fred Da Godson last year, Ceazar follows up by flexing his music prowess with a R&B infused HipHop banger titled "So Amazing." 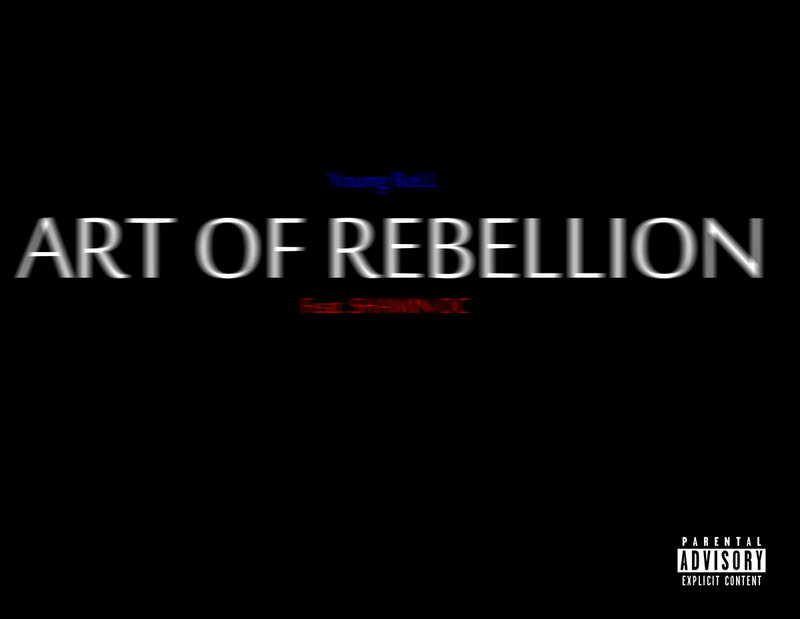 Produced by Gun Productions, the song features up and coming R&B crooner Junii who smooths out the chorus while Ceazar provides the gritty wordplay. Catch this song on Ceazar's mixtape"Render The Throne". Twenty-one year old Rell Gambino has been doing his thing for awhile now. This New Jersey native pretty much does it all writing, engineering and producing all of his own stuff. There is not too many people you can say that about, besides today's artist have to be versatile or else they will be obsolete. With this kind of lineup you know you about to hear some serious Lyrics Of Fiery. This is just a taste of what producer A-Villa’s new LP “Carry On Tradition” has in stored. Who else can feature Action Bronson, Roc Marciano, and Will The Kid on the same cut? Exactly... not many, sit back and enjoy this soon to be classic LP with three of the dopest lyricist in the game. 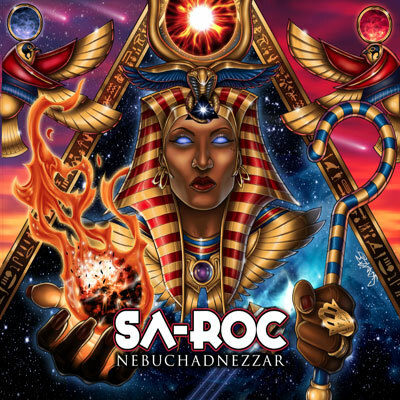 The Empress Sa-Roc just released visuals for "Lost Sunz" produced by Soul Messiah off her acclaimed new LP“NEBUCHADNEZZAR”. Hands down she is probably one of the few Emcees I can just push play on her cd and just let it play. You can just tell when a artist put there heart and soul in their work. My man Immortal Technique leads this cypher with a dope Freestyle session on Tim Westwood Tv. CF and Hasan Salaam both spit written and straight off the dome rhymes. REal HipHop Heads will appreciate this 18 mins of lyrical greatness. Mahogany Jones is a lyrical force hailed internationally for her work as a recording and performance artist, arts advocate, community activist and educator. Named the only four time undefeated Champion of BET’s 106 & Park “Freestyle Fridays” in 2001, Jones set about establishing herself as an Emcee with a cause appearing on over 30 albums and gracing stages with such greats as Gil Scot Heron, Talib Kweli, KEM, Rah Digga, India.Arie, The Roots, Jessica Care Moore and many others. My man Prevail (Of Swollen Members) lets loose on this new cut off his upcoming project, Born To Rayne, produced by Saskatchewan based producer, Rayne Drop of Wolfpack. It appears you'll be getting more Prevail lacing dope lyrics over a synth heavy beat which is his signature style. He's known for his aggressive multi syllabic style in the past on so many classic Swollen Members records.